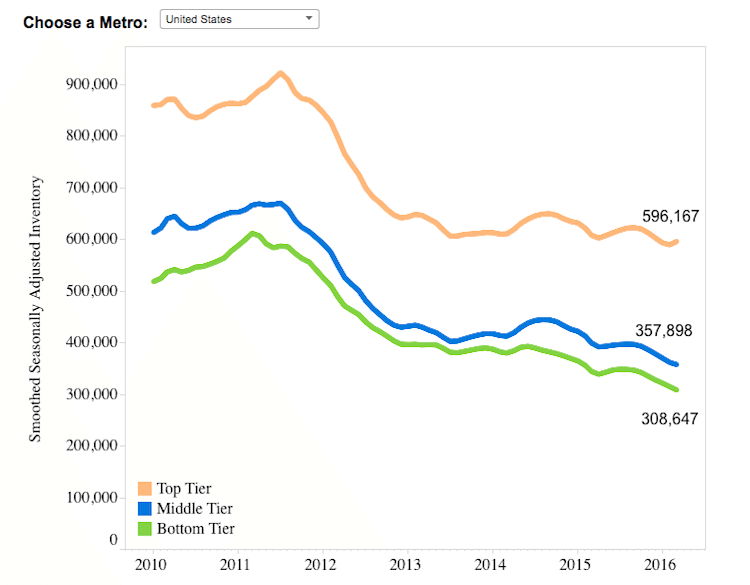 Although its top-tier sector increased 2 percent in inventory in the first quarter of 2016, Chicago saw quite a dip in bottom and middle-tier inventory, with each losing 14.2 percent and 10.5 percent during the span. 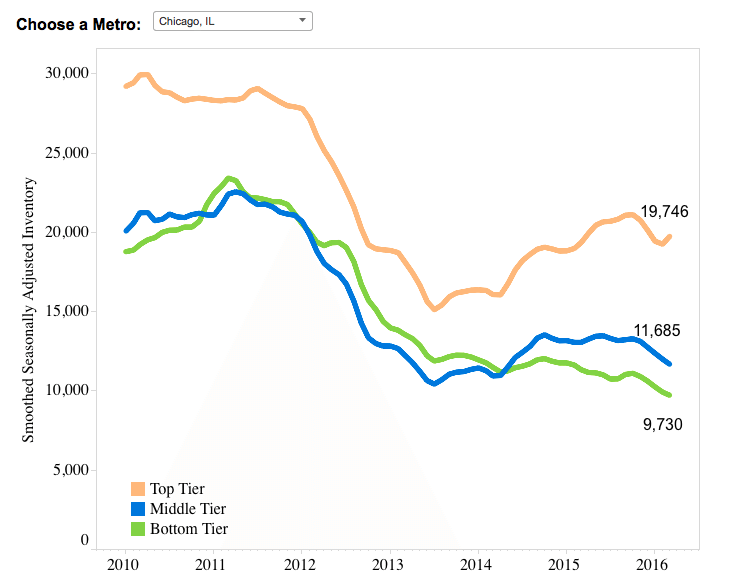 Chicago saw small increases in home values across the board in the first quarter, with bottom, middle and top-tier homes increasing 0.7 percent, 3.1 percent and 1 percent, respectively. 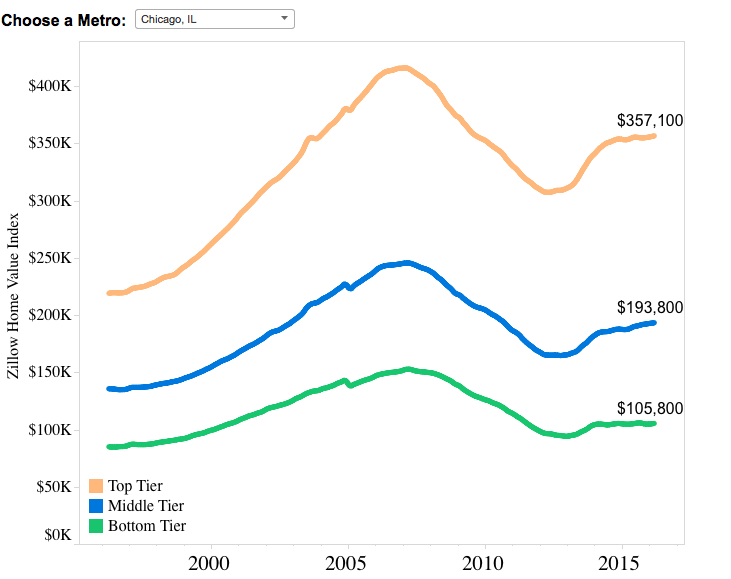 With an average ZHVI of $193,800, Chicago’s home values might not reach those of Los Angeles, New York or San Francisco, but it still remains more than $5,000 over the national average. Are Chicago millennials really able to afford homeownership?